TravStar1 Point Of Sale SystemRegister Manual Voids And ReturnsHow Do I Return an Item? This lesson will teach you how to return an item from a previous transaction. 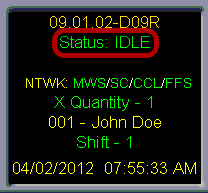 Before you start a return, make sure that your register Status is Idle. If it is not, you will need to complete or suspend your current transaction before proceeding. Touch the "Manager Keys" button. This will take you to a screen with a different set of buttons. Touch the "Return Item" button. Notice that the date and time have been replaced by RETURN. 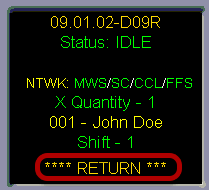 This indicates that the next item scanned will be returned to the store's inventory. 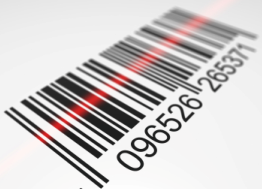 Using the barcode scanner, scan the item that you want to return. After the item is scanned, you will see the amount that is due back to the customer. (1) Type the dollar amount using the number pad on the keyboard. If the customer would like the amount returned to their credit card, swipe the customer's card through the credit card slot in a smooth motion. You will see a message that reads Requesting CREDIT OK. The customer will need to present the receipt from the original transaction. On this receipt, you will find the Authorization Number from the original transaction. (1) Type this number using the number pad on the keyboard. 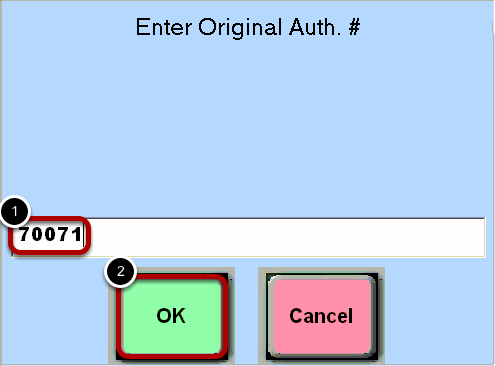 Prev: How Do I Void the First Item that Was Added to a Transaction? Next: How Do I Activate a Gift Card?